The background to this year’s Roundtable was dramatic. The recent G7 summit had ended in disarray, a new government of populists had taken over in Italy and disturbed the markets, Donald Trump also upset markets by imposing tariffs on $50bn-worth of imports from China, and in Greece, meanwhile, a vital vote in parliament on measures required to end the third bail-out programme coincided with a no-confidence motion in the government following the agreement between the Greek and FYROM prime ministers on the naming of “North Macedonia”. Two metaphors were prominent at the conference. One was maritime, from the event’s subtitle (“A compass for Europe, A fair wind for Greece”): at times it seemed that the wind was a bit too strong. The other was athletic: that Greece’s bail-out marathon was nearing the finish-line, though it was clear that beyond that the country has many miles of hard running ahead. • In his keynote address Prime Minister Alexis Tsipras said there is indeed a “fair wind” of optimism and recovery in the country. The days of the conference marked the moment Greece leaves behind a period of pessimism and “turns the page” to enter a new era. With the exit from the bail-out agreement, Greece can feel more confident in its ability to stand on its own feet. “This will be the most important success story for Europe…The country that was the crisis is now part of the solution.” The one pending issue remained the need for debt relief at the Eurogroup meeting on June 21st, and the prime minister called for a “brave decision”. • As parliament debated a no-confidence motion, Mr Tsipras also defended the agreement on “North Macedonia”, after six months of negotiation on the name dispute, as a “development of historical proportions both for Greece and our neighbours”. • The outlook for the Greek economy is more positive than it has been in recent years, the conference heard. But the fundamental problem of insipid growth remains; growth of around 2%, after a 25% contraction over the past decade, is disappointing. Structural problems present headwinds: these include the commitment to run large fiscal primary surpluses for an extended period because of the country’s very high public debt burden (still 179% of GDP in 2017); poor demographic outlook; labour market weaknesses, including the serious brain drain (estimated at 250,000 people); and a banking system which, though stabilised, is still burdened by a very high non-performing loan ratio. • Christos Staikouras, the shadow finance minister, said the country was “not yet back to normality”. He criticised the slow growth under the government’s plans, and outlined New Democracy’s aim to achieve 4% annual growth through policies such as changing the fiscal policy mix, structural reforms, encouraging entrepreneurship and measures to improve debt sustainability. 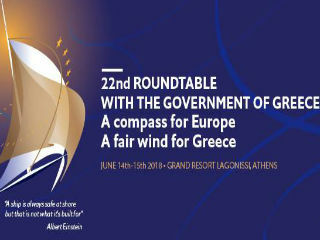 • The imminent exit from the bail-out programme gave a sense of end-of-era to the gathering on stage of representatives of the institutions—though Klaus Regling, managing director of the European Stability Mechanism, and others made it clear that they would continue to be involved in supporting Greece’s progress. Speaking about what comes after the end of the bail-out programme, Mr Regling warned that Greece’s access to the markets remains fragile and that it is crucial that the government stays focused on reform. This is politically unpopular, and there will be a temptation to relax as elections approach in 2019, but Greece must now take ownership of the reform process. • Mr Regling’s injunctions on the need for reform were echoed by representatives of other euro-zone institutions and the IMF. On growth prospects, Declan Costello of the European Commission noted three ways that Greece might be able to increase its growth rate: debt relief; reform implementation (not necessarily new reforms); and creating fiscal space through improving the tax system. • Infrastructure such as rail and air links is on a positive trend. The Economist Intelligence Unit expects Greece to radically improve its business environment ranking on infrastructure development over the next five years, from 41st out of 82 countries now to 24th by 2022. • One notable bright spot has been tourism, where growth has been strong. More investment is needed to help accommodate future demand, spreading the visits throughout the year, to lesser-known parts of the country and moving steadily upmarket. • The conference heard about an encouraging change in momentum in both privatisation and inward foreign direct investment. However, this is from the low base of chronic delays in privatisation and persistently disappointing levels of FDI. • Greece’s efforts to improve its technological and digital readiness, and its lowly ranking in the EU’s Digital Economy and Society Index (3rd from the bottom in 2017), were outlined by minister Nikos Pappas in a session that discussed how Greece could adapt and manage the challenges and changes brought about by digital disruption. • The energy sector is one of both economic and strategic importance, and received an intense focus at the conference. Development is complicated by geopolitics (there was a pointed exchange, for example, over the dispute between Cyprus and Turkey over drilling rights in the eastern Mediterranean) as well as by technological difficulties (the conference heard about the challenge of sea-level depths in planning pipelines). Energy security and sustainability can be competing priorities. But progress is palpable, not least in the TAP project. • The conference sessions had started with the international context. Huge challenges face Europe, as China rises, Africa’s population reaches 2.5bn by mid-century and America turns to isolation. These were addressed by Dominique de Villepin, a former prime minister of France, and Lord Paddy Ashdown, former leader of Britain’s Liberal Democrats and former high representative for Bosnia and Hercegovina. Mr de Villepin spoke about the need to create a new security architecture for Europe and the desirability of a rapprochement with Russia. Lord Ashdown warned of the dangers of renewed Balkan instability in Bosnia and even a possible return to war. He argued that EU enlargement to Croatia and the extension of Croatian citizenship rights to Bosnian Croats—and the prospect of the same thing applying to Bosnian Serbs after Serbia joins the EU—undermines the already fragile and dysfunctional Bosnian state. • Delving further into the theme of security, other speakers reaffirmed the importance of the NATO alliance (“the most successful of all times”), despite internal strains — including a sharpening of tensions between Turkey and Greece — and external challenges, notably from Russia. It was noted that talk of a “new Cold War” needs to be tempered by the fact that Russia’s power, both military and economic, is greatly reduced, and the ideological divide of the communist era is gone. Nevertheless, the opposing perspectives from Russia and the West on Russian actions and intentions were on clear display. Might a Trump-Putin summit to bridge the divide be on the cards? 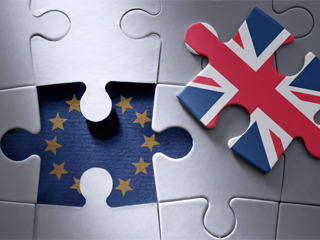 Vladimir Chizhov, Russia’s ambassador to the EU, said that “initial preparations” had been made. The conference ended on Mr Tsipras’s optimistic note, but there was no sense of complacency. As the two days of discussions made clear, developments both at home and abroad could all too easily cause Greece’s “fair wind” to change direction.